We made some really easy Indian Corn. 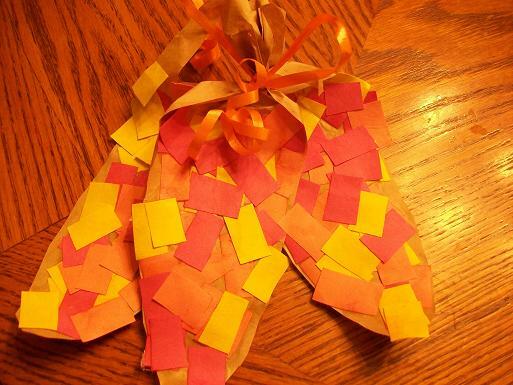 You’ll need: Indian corn shape cut from paper bag, glue, ribbon, construction paper cut into squares. 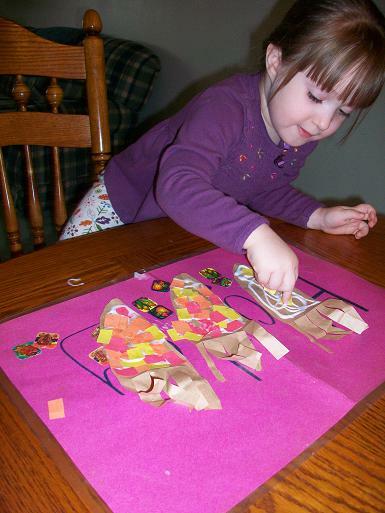 Glue the colored squares onto the Indian corn. Once they are dry, tie a ribbon around the Indian corn and display. 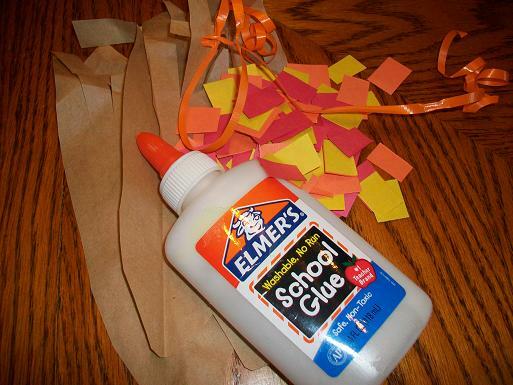 Do you put the glue on for her? Just curious!